« No Place Like Home. Don’t Let Parents Leave Without This! It always puts a smile on my face when people email me to let me know they enjoy my writings. Sometimes I get great advice too. I heard from Mary, a lovely lady who works as a nurse in an Alzheimer’s Assisted Living facility. 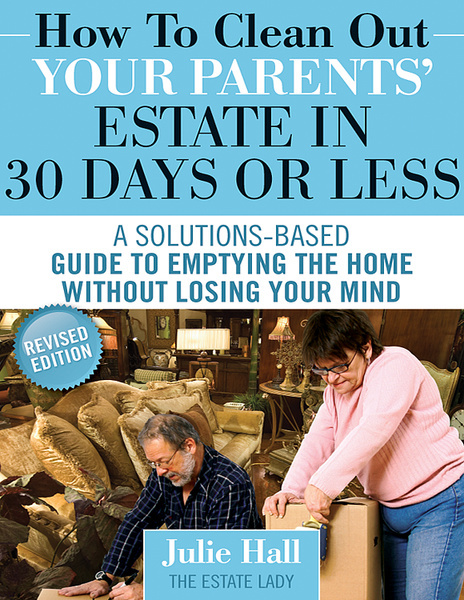 She enjoyed my book of checklists, “How to Clean Out Your Parents’ Estate in 30 Days or Less,” and thought of a few more things to add to the book. A copy of a marriage certificate is necessary for most insurance policies. Be sure you have on hand a birth certificate. If you don’t have it, order a couple of original copies from the state where they were born. This entry was posted on September 27, 2013 at 7:01 pm and is filed under Death. You can follow any responses to this entry through the RSS 2.0 feed. You can leave a response, or trackback from your own site.